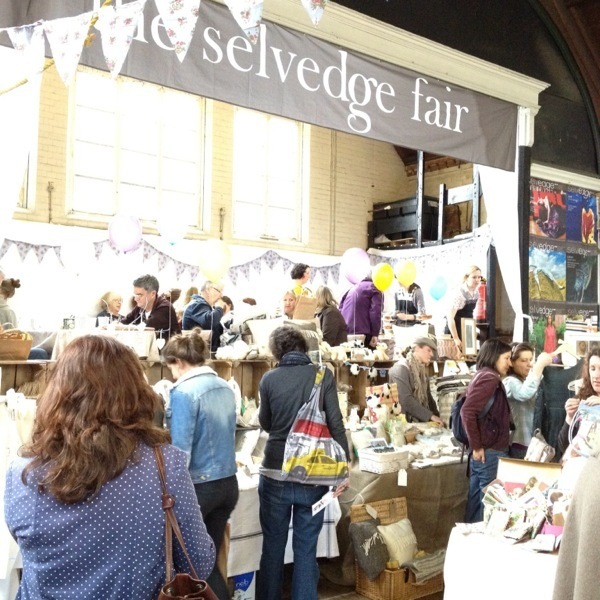 Despite rather wintry weather, there was definitely a spring feeling at the Selvedge fair in Highgate, London at the end of March. We were thrilled to be selected to exhibit. A great day was enjoyed by shoppers and fellow designer-makers alike. I thought I'd just share a few photos of the day with you! Amazing what you can squeeze into a small space when you have to! Graham on our stand looking very colour co-ordinated. Delicious fair fuel from High Tea of Highgate. Kukuben, Sapna and Manali cushions.